This guide sets out the six key processes or stages of commissioning market research. While all commissioning should start at stage 1 (goal setting) and stage 2 (evaluating information needs) and end at stage 6 (issuing briefs to agencies), stages 3, 4 and 5 may not necessarily follow in the order laid out in this guide. The middle stages will vary from project-to-project and from organisation-to-organisation. 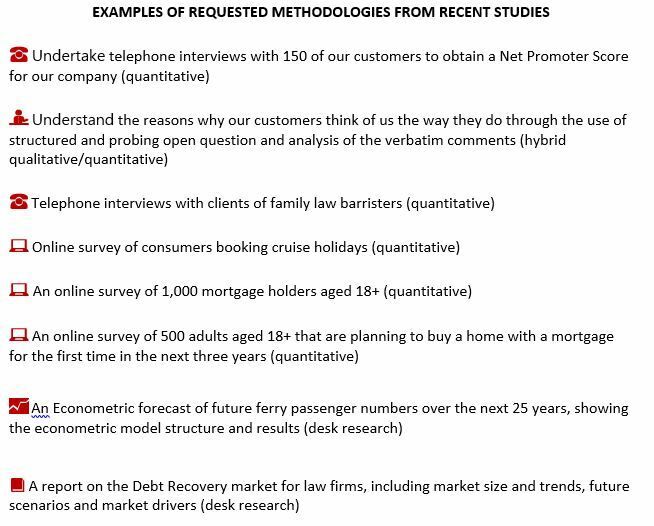 Market research is a business tool to help organisations make better decisions. Like any tool, market research is only useful if the craftsman knows what his/her tools will be used for. If you do not know why you are commissioning research, then why are you commissioning research? 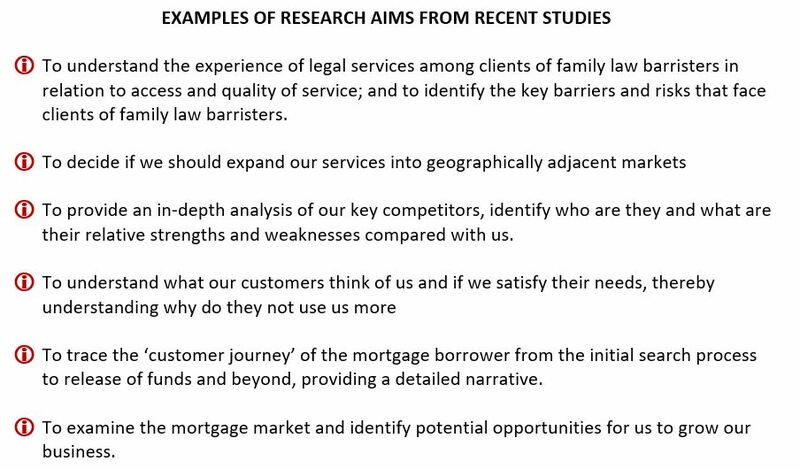 If there is no clear reason why market research is required, then do not waste money commissioning a study. Do not commission research if you think the result might come in useful, you should know that if the project fulfils its goals the output will be useful. Your internal stakeholders need to agree on the goals of the project before starting the commissioning process. Understanding the aims of your research is also vital if the output from a research project is to move from information to insight. Insight only comes when research results are interpreted and understood within a business context. 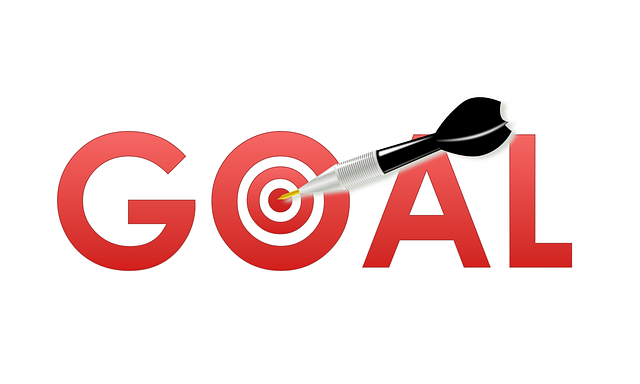 If you do not understand the business goals of your research neither will the agency you employ. 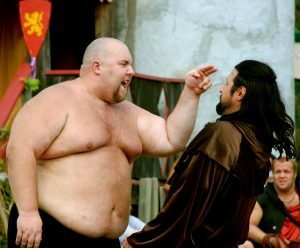 Importantly, think How big are my research objectives – big and strategic or small and tactical? Answers to this question will help determine the specific aims of the research and help shape the type of research required. Understanding your aims also helps compare the offers of competing agencies. 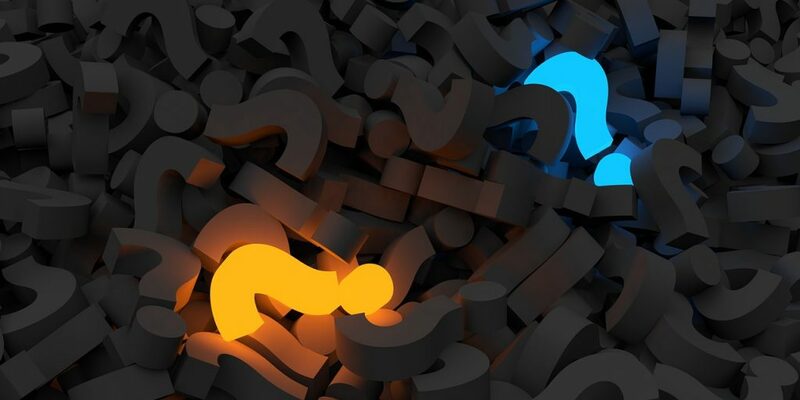 Without a clear goal in your head, you cannot decide if the approach to be taken by a specific agency is able to answers the business questions you are addressing. When specifying a research project, remember keep it as simple as possible. Do not get lulled into the bad habit of trying to look for information which is not central to your needs. 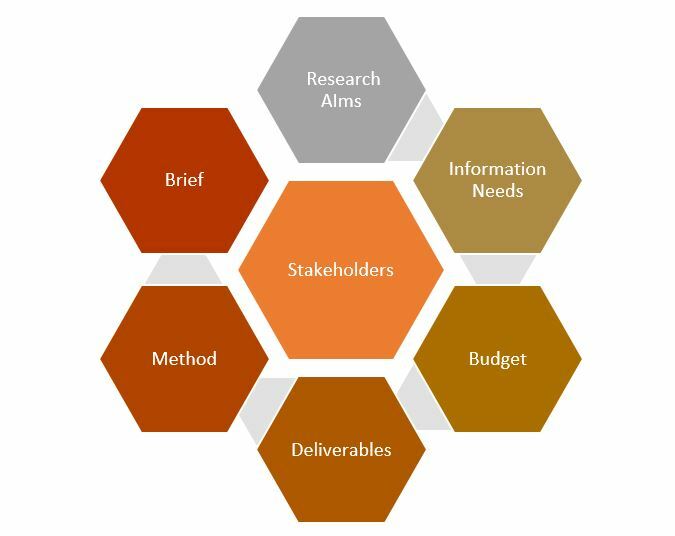 You must decide what information is crucial to meet your research aims and what is peripheral. This is a problem of information inflation. It is also important to know who in an organisation the research is for, so as to guide your information requirements. 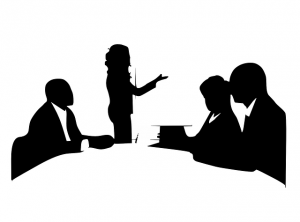 While it is vital to seek the input of key stakeholders when deciding on the information you need, a problem can arise when the definition of stakeholder is expanded too widely: a project designed to meet the needs of one specific company department or function can be hijacked by other departments/functions who add their own requirements to the project. This is a problem of stakeholder inflation. If either of the above inflationary process occurs, a tightly defined, manageable project can become bloated and lose its focus. Questionnaires, for example, can mushroom in size and complexity, resulting in poor responses from interviewees or high drop-out rates by respondents during interviewing. Unfortunately, it could be those need to know results that suffer the most. Most organisations have considerable information in-house. It can be formal datasets of customer purchases and visits, for example, or less formal information, such as the feedback from customers received by salesmen or customer service staff. Don’t reinvent the wheel: if you have the information in-house to answer your research aims, use it. Equally, if you have commissioned research in the past, see if past research can answer your current research needs. There is no set price for a piece of research. Costs depends on the number of tasks required, the nature of those tasks, the time involved in activities like data analysis and interpretation, and the quality of the research staff employed. While there is no set price, it is important for you to know how much you can afford. While you may not want to fully disclose your budget to potential agencies, providing an indication of the budget is important. Your affordable price range will help agencies decide on the scale of the research project and the best approach to take to generate the results required within your budget. For example, if you want to find out who your top ten competitors are, this task can be fulfilled for a few hundred pounds (simple list) or for a few thousand pounds (detailed profile of each competitor, plus interviews with buyers in the market). 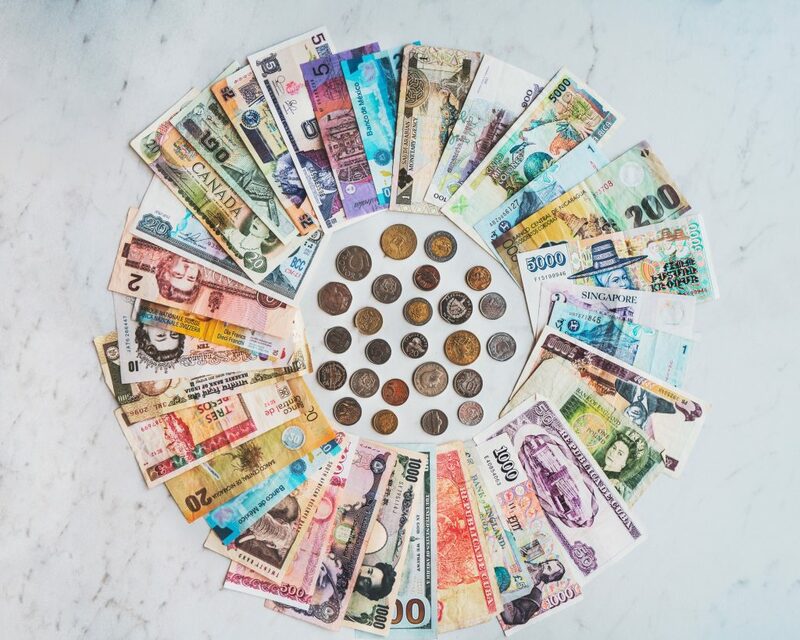 By indicating your price band, you help inform the agency of the scale of the task and allow them to decide if your research goals can be achieved, given your financial resources. It also weeds out agencies who are unprepared to bid for your work at the prices you are prepared to pay: it makes little sense getting proposals from agencies all of which set out costs in excess of your budget. A research project can often be fulfilled using many different types of technique, including desk-based secondary research, face-to-face interviews, telephone interviews, online interviews and focus groups (physical or online) etc. Some clients will specify the methods they want, others will have a general idea of the methodology they think is best but will want to discuss this with an agency and some will leave it to the agency to make recommendations as to the best method. In considering methodology, always keep in mind the ultimate aims of the research and the types of results you expect. Primary research itself comes in two main flavours – quantitative (i.e. numbers such as the percentage of consumers buying product xyz) and qualitative (i.e. discussions with individuals to understand their motives, emotional responses and feelings). The output from a research project can come in many formats and designs and it is important for you to decide what you want delivered by the agency. Broadly speaking, requirements will range from pure data (and nothing else) up to full-scale analysis, recommendations and insight. 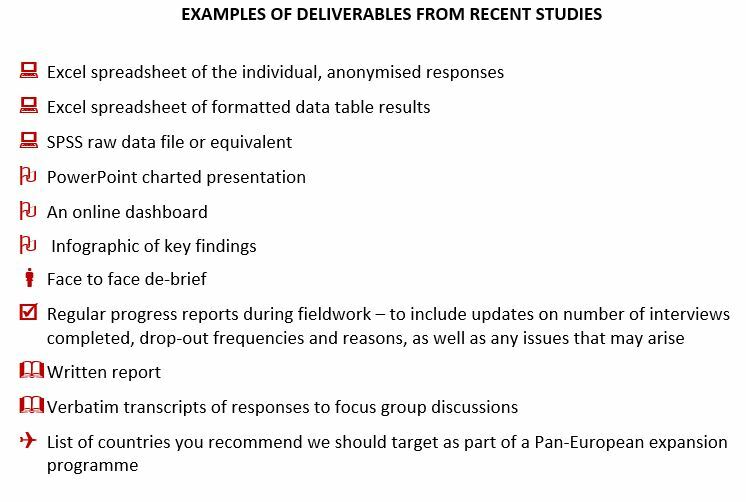 One project may require a full spectrum of deliverables from data tables up to face-to-face debrief and recommendations for future action, while another may only require field and tabs (i.e. interviews and the data from the interviews). Also, you need to decide if you want the full technical details from a study or just the results. If you do want all the technical detail, ask for it in a separate document/presentation so that the essential findings from the research are not buried deep within technical analysis. Crucial to deciding what you want delivered is the audience for the research. 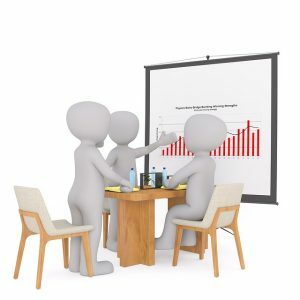 Front line staff may want the full research results, so they can delve into the analysis, while senior management might only want a brief presentation of the results or access to an online dashboard. Opposite is a list of the key elements of a brief. Its horses for courses in the research market. 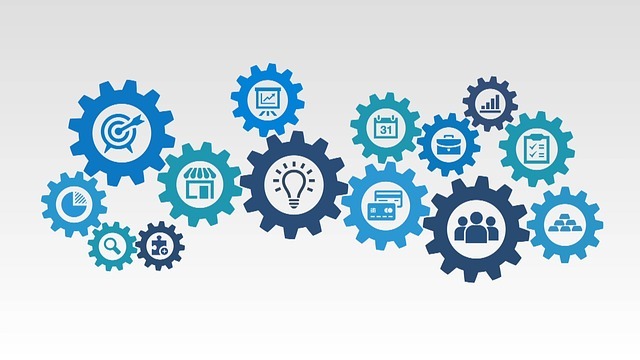 Having specialist knowledge of a particular industry or market or specific research technique can pay dividends by delivering the insight you require to make your decisions. Again, it depends on your research aims. The more you want your research agency to offer business advice, the more sector specific knowledge it is useful for the agency to have. However, it must always be remembered that the ultimate goal of a research project is to give you the ammunition to make a decision. Not all specialist tools and techniques developed by agencies are appropriate for every project. 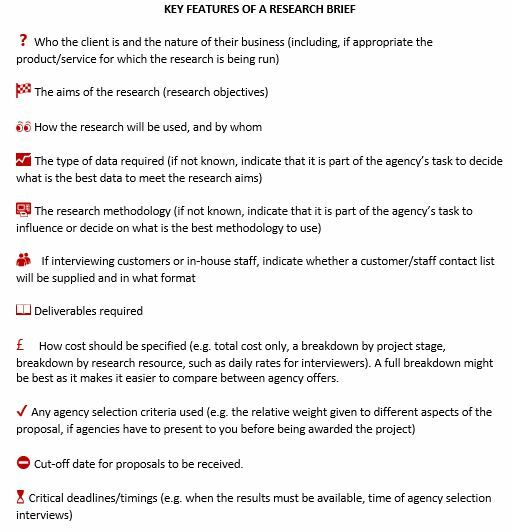 So if an agency tries to push some specialist research tools it has developed at your project, take some time and read around to make sure they are appropriate for your needs. The old saying in IT was “Nobody ever got fired by buying IBM”. In other words, company procurement officers bought IBM because if something went wrong they could not be blamed, after all they had purchased from the most reputable source. This type of reasoning does influence research agency choice, even when it is organisational policy to include smaller agencies in the bidding process. We are not just saying this because IRN is a small boutique research firm: it is important to shop around before selecting an agency and don’t just opt for the agencies with high profile names. Instead, use resources like the Research Buyers Guide to search for agencies and don’t be afraid to include a freelance consultant or smaller agency in the bidding process. Today, small agencies like IRN (and there are many others) can easily commission interviews with thousands of consumers and hundreds of businesses on your behalf and add value by designing the overall research project and analysing and presenting the results. 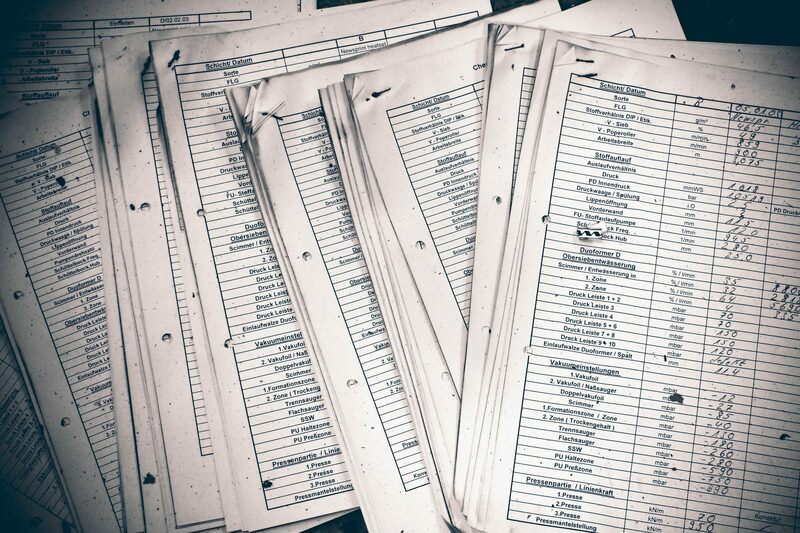 Because an agency does not have an in-house team of CATI stations or a large panel of respondents for online interviews does not mean it cannot fulfil a large research project. Select on quality rather than quantity and go beyond the brand. Smaller agency/consultancies like IRN bring together specialists from across the research industry to meet the aims of your research.